Treat yourself to to a new style. At BLS, we see hairstyling as more than just a technical skill. It involves listening to clients and working with them to achieve their best look. including Eufora, Keratherapy, usmooth and Balmain. Barron’s London Salon offers high quality hair care products that provide amazing style, long-lasting color, brilliant shine, and extended protection. Treat yourself to a new style. Whether you're looking for a creative consultation from one of our hair stylists, or know exactly what you want in a new style, you'll leave our salon feeling like a brand new you. Highlights, Lowlights, Gray Coverage, Balayage, Ombre...we do it all! 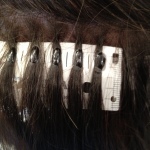 Our stylists are all trained in thevVidal Sassoon Precision Cutting System. Add volume to fine hair, color without processing, or length without waiting! Keratin treatment therapy to repair damage and smooth hair. All finishes include a wash and rinse specific to your hair type and blowout. Make your hair curly, make it straight…your choice! Professional hair and scalp treatment options. Treatments for dry or oily scalps including Moroccanoil treatments. Men's haircuts including clipper, razor, scissor over comb, fading and blending cutting techniques. Get the perfect elegant updo or style for your wedding or special occasion. Our Clients Love Us See what they have to say. Really, really the best salon in Atlanta! I have been all over the place trying to get my highlights right. I never know quite how to describe what I want, and pictures never help. At Barron’s London Salon, the owner, David Barron was very personable and knew exactly what I was talking about. Not only did he get my highlights right the first time, but my hair felt amazing too! I will be back and referring all of my friends. Since 1996, Barron’s London Salon in Atlanta has been the top destination for those seeking an upscale, full-service hair salon. Located conveniently in Buckhead, our hair salon is completely focused on you and your needs. 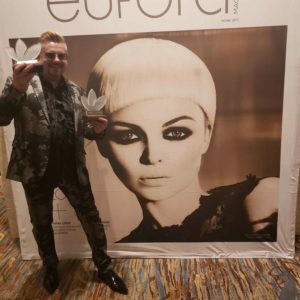 Owner David Barron is a top Atlanta hair stylist, born and raised in the East End of London, England. He attended the Vidal Sassoon Academy in London, and worked in the designer London Salon for four years before branching out. At Barron’s London Salon, we carry some of the most highly recommended professional haircare products including Eufora, Keratherapy, usmooth and Balmain. Whether you have brown hair with highlights, blonde hair with highlights, natural hair with no color, a base color or anything in between, you can feel confident that you are being recommended the very best! Hair competitions are amazing outlets for us to improve our techniques, step up our styling game, and flaunt our creativity! 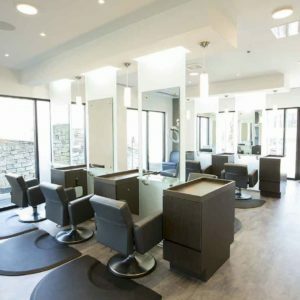 Owner David Barron and the team at Barron's London Salon have competed and won many competitions over the years. Take a look at some of our awards and competition collections.